I know that the Division I men's basketball national championship game was on Monday night and that UNC wasn't even in the title game (looking at you, Auburn), but to me that doesn't matter. I am a Carolina sports fan through and through. I have been since I was a little girl. That means that, for me, the Auburn game during the Sweet Sixteen was a hard pill to swallow but will never change my love for my team. 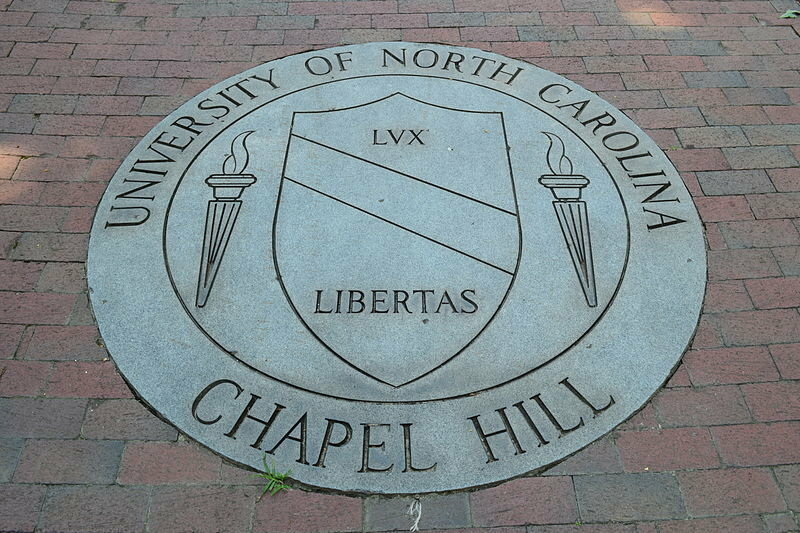 The banners and the record books may have it listed as UNC last winning a men's basketball national championship in 2017, but there will never be a day when we aren't the (U)niversity of (N)ational (C)hampions. I don't care that the last two years have been less than stellar for UNC in terms of the outcomes of the NCAA tourney come March, but at the end of the day once a champion you're always a champion. You can fight me on that all you want, but you will always be wrong. UNC will never just be a basketball school, this year alone we've had multiple athletic programs ranked in the top ten. In basketball, we may only have 7 titles, but in all sports we have 44. UVA only has 26 overall. I may not be a math major but I know good and well that 44 will always be greater than 26. That's all I'm going to say with that one. I really don't think I need to add much context to this one. Michael Jordan is the absolute GOAT. Despite no one really understanding the "ceiling is the roof" comment, his prowess on the court is unmatched. UNC let students in beginning in 1795, UGA didn't open their doors until 1801. So while their charter may have come first, we were the first public university in the United States. Sorry, not sorry. Win or lose our team is going to give it their all because we have the heart and soul of a champion. If anyone embodied this idea, it was Theo Pinson who tirelessly played his heart out make unbelievable plays from first to final whistle. The Carolina Way (peep #9) is all about never backing down from adversity and having the mentality of a champion from the start. He may not take timeouts when we want him too, but he knows what the dickens he's doing with those boys. At the end of the day, we all love Roy and his Roy-isms and that will never fricking change. When Duke loses, America wins. I don't care what you think, but Duke losing will forever be a good enough reason to justify why UNC is the University of National Champions. We are going to hate to see these three go. Don't get me wrong it'll be just as hard to watch Coby and Nassir leave, but these three gave us there all for their time here at UNC. Not to mention their senior speeches had us both crying in the club and falling more in love with them every second. The late, great Dean Smith knew what he was doing when it came to basketball. Why would you try to change something that isn't broken? The Carolina Way is a mindset, it's a belief that we work hard, smart, and together and at the end of the day that will produce results. This is a mentality to buy into in both on the court and in the classroom. If you don't know what GDTBATH stands for then I feel for you, because at the end of the day it will ALWAYS be a great day to be a Tar Heel! It's been a long two years since UNC was able to cut down the nets as the natty champs, but that doesn't mean we aren't champions. Heck in 2018 our field hockey team won a national championship, so if that doesn't further prove my point that Carolina is a school known for being winners and at the end of the day we may have lost out to Auburn, but in my heart we will always be champions.